Golf writer and enthusiast Candace Oehler contributed this story on the philanthropic efforts of Mexican-born golf pro Esteban Toledo. Photos courtesy of Phyllis Lerner. SCOTTSDALE, Ariz. – Consistency might as well be Esteban Toledo’s middle name. 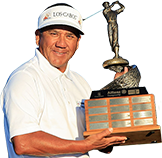 He has been one of the top 30 golfers to make the Charles Schwab Cup Championship in all three years since joining the Champions Tour as a full-time player, a mark of solid play throughout each season. He came into this year’s tournament seventh in Schwab Cup points, with one win (Nature Valley First Tee Open at Pebble Beach) and five top 10 finishes (two in Champions Tour Majors). And although a T-24 tournament finish dropped him into eighth place, out of Schwab Cup money (only the top five in points share in the $2.1 million annuity), he finished the season with well over $1 million d in earnings. He has earned nearly as much in just three years on the Champions Tour as he did in his 20-year journeyman PGA career. When we last saw him putt out at the 2014 Charles Schwab Cup Championship (T-14, 2-under), he and his son Nicholas were leaving immediately for Mexicali, where work was to begin on constructing an orphanage in Esteban’s home town. The original 1,500-foot plan was expanded to 5,500 square feet, and is now a facility that is nearly ready to welcome 30 boys and girls, ages 6-18. 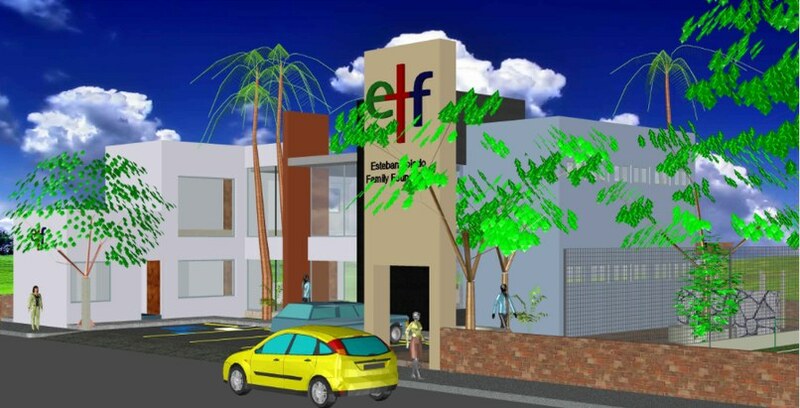 Construction is completed, and all that remains is to buy furniture and appliances, and welcome the kids. Toledo is visibly excited about finally seeing his long-time dream realized. The facility is designed to feel more like a family home instead of an institution. Medical and dental care will be provided and education emphasized. Toledo has never left his roots behind. Harsh childhood poverty (as one of 11 children), a stint as a professional boxer, and his subsequent, improbable path to professional golf left him with a deep desire to help others, especially children. “Look, I was born in worse circumstances than many kids,” he explained “I was raised in an adobe house, where we didn’t really have places to sleep, we had just two beds, and we lived in a very, very bad situation. But with a huge difference – I had a mother and a father. Helping with the project as much as possible is Toledo’s son Nicholas, who, with girlfriend Nicole, is in the chemistry Ph.D. program at Rice. As they did last year, the couple took a break from school to watch Toledo play the season-ending tournament. Nicholas spoke proudly about his father’s commitment to charity and said he hopes to follow his footsteps and be a similar kind of role model. He is already involved with the foundation (www.estebantoledofamilyfoundation.org), working with sponsors and donors, while keeping up with his graduate research studies. The 5’9″ golfer, who actually towers over fellow competitor Ian Woosnam, is personable, popular and laughs easily. Stories abound about him on Tour, some humorous and some heartwarming. Overheard at the driving range, for example, was a fan recounting how the budget-conscious Toledo gleefully shared that he bought his Mizuno irons on EBay for $300, and has won over two million dollar with them. More common, however, are the stories that show his heart. Phoenix fan Eduardo Lamadrid, for example, connected with Toledo through a mutual friend in Mexicali. Eduardo’s two girls Natalia Olivia (8) and Alexis (7) play competitive golf, and Eduardo hoped they might have a chance to meet the professional golfer. It’s an important part of the job for Toledo. The girls, already winners on the junior circuit, even got to hit Toledo’s driver a couple times, leaving the pro impressed. “I believe that if they want to get to the LPGA, they could. If they follow their goals and their dreams, I think they’ll make it,” Toledo said. High praise, indeed, and it’s nice to know they’ll have a little extra encouragement along the way. What might surprise some is Toledo’s support of Donald Trump, particularly his views on immigration. Toledo, who became a naturalized U.S. citizen in 1984, is adamant about following the rules. And while not a fan of the Republican frontrunner’s choice of words, he likes the ideas. The Mexicali native is fortunate to have two countries he calls home, and is in the process of establishing a Mexican-based foundation that will enable him to expand the donor base to raise funds in that country. Meanwhile, plans are also underway to expand the scope of the Esteban Toledo Family Foundation in the U.S., with projects to benefit junior golf, the Red Cross and other non-profits. This entry was posted in Interviews, The Foundation on September 10, 2016 by .